I have always been fascinated by all kinds of artworks and this fascination continues on even while I am travelling! To me, art and travelling goes hand in hand and art is another aspect from which I can obtain a better understanding of the culture of the place that I am visiting! Art, is in itself, a creative form and in order to appreciate it, one would have to think out of the box and in a rather creative manner. 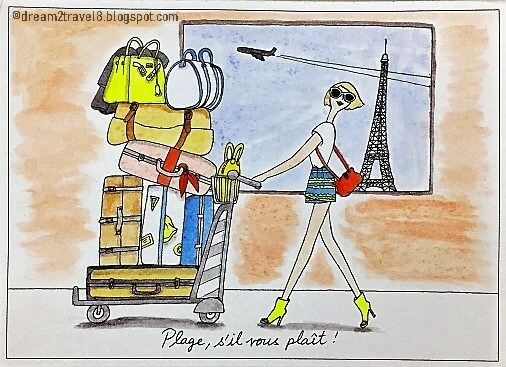 I found this approach relevant and helpful when trying to understand a new place when travelling. It helped me to see that new place from all corners and opened up new perspectives which makes travelling all the more interesting! 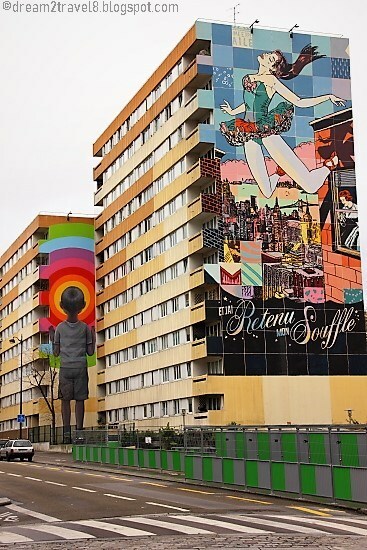 Amazing art on the buildings in Paris! I have recently came to appreciate street art and some of these street arts that I came across while travelling had left me dumbstruck and just in awe by what was captured by my eyes. Since then, it had become a game of treasure hunt whereby I find contentment in being able to see the beauty hidden in our surroundings! Art is everywhere and if you keep a lookout, you would be able to find it in the least expected places. Of all the various street artists, there is this particular street artist whose works I had started to follow and he is none other than Bardalo II, a Portuguese artist. It was his latest project “Big Trash Animals” that had caught my attention. 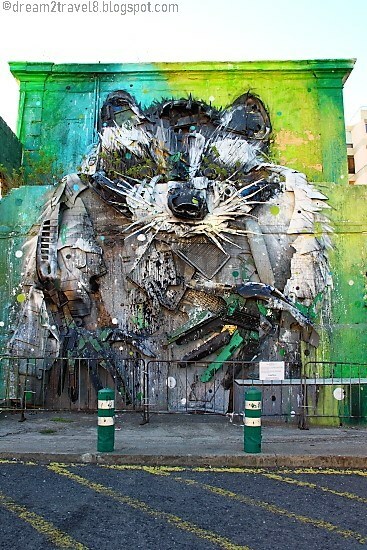 In this project, he basically collects large waste materials (such as damaged bumpers, burnt garbage cans, tires, and other appliances) and assembles them to form a huge realistic animal form. Bardalo II started this project to draw attention to the current problem of waste production, where there is a generation of a huge amount of materials that are not reused resulting in pollution that ultimately has a negative impact on planet Earth! Bardalo II’s artworks are hard to miss due to the sheer size of the mural and his artworks are displayed in many countries (which resulted in a personal goal of trying to locate as many of his artworks as possible while travelling). 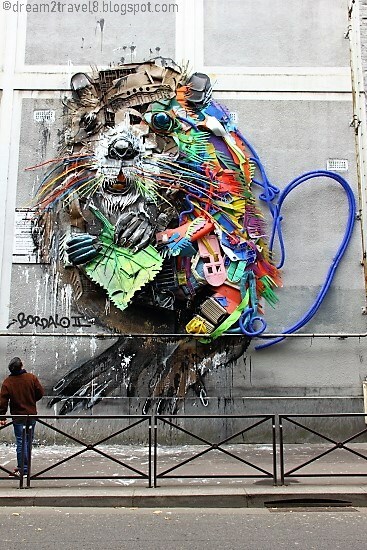 I find his artworks mesmerising mainly because it really takes a lot of creativity to create an animal mural out of things that had been deemed as trash and doing it in a way that makes people forget about everything else but just to focus on the beauty of the artwork. Thx for alerting me to the work of Bardado II. 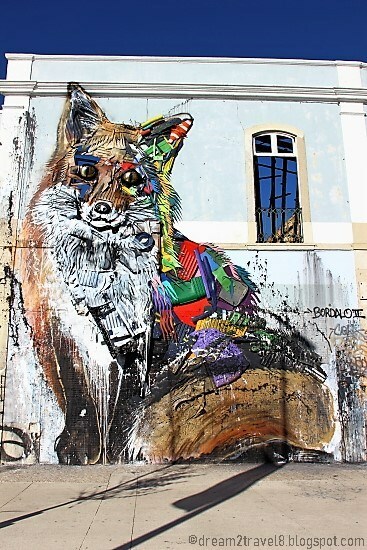 I love street art and will keep my eye out for his when I visit Lisbon. I love street art. Penang, mostly in Georgetown, is full of it. I really want to see Bardalo II's in Lisbon. They look fantastic. Thanks for sharing. I love street art and always click if i see something interesting. I enjoyed reading your post. Looking forward to part-2. 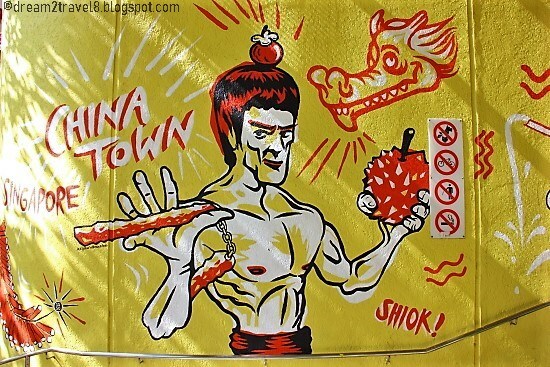 Wow, you have definitely got an eye for those awesome street arts. I noticed some when I was on my trip to Europe. It's amazing to see how they differ as per the location, and reflect something about the local culture. You have got a great collection there. Yup, I do see some cultural influences in the many street art all over the world, another great and creative way to know more about the place of visit isn't it? I do love the 3D arts. Penang was one such place that had a lot of it. Nice to spot it in Singapore too. People sure are getting creative by the day and street art is quite a proof of the same. 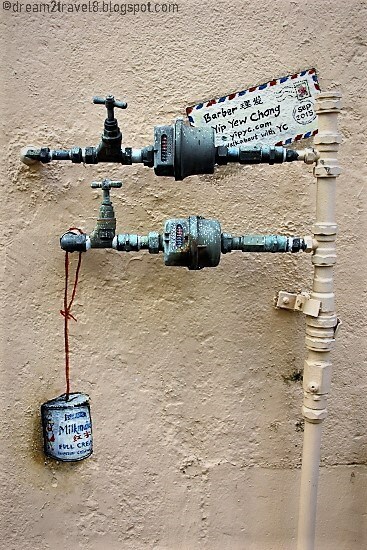 Street art is something that fascinates us too. It is such a nice reflection of the times and culture of a place. A nice graphic representation of the thoughts of artists, many of them unknown and unsung. 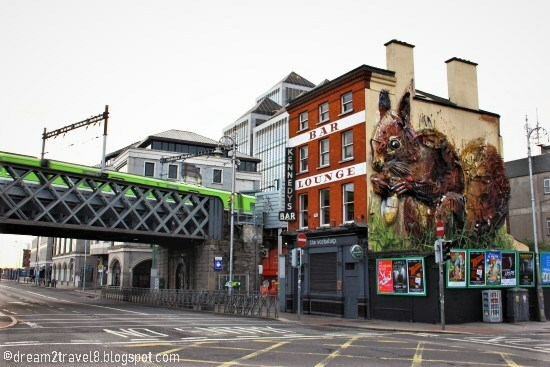 You have curated a lovely collection of street art from the world.